...and now going strong in 2016 - Our J.R. Tharpe family! 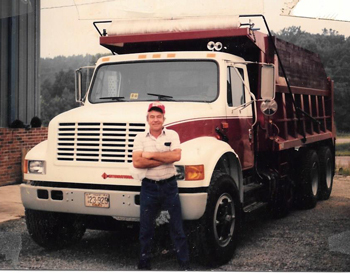 J.R. Tharpe Trucking Company, Inc. is a family owned and operated business, established by James R. Tharpe in 1971. James and his wife Ann bought the business from Mr. B C Bourne in Burkeville, VA. The business started with eight trucks, which hauled out of Luck Stone in Burkeville to local customers. 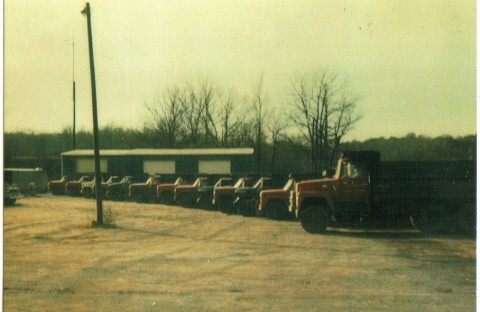 The business continued to grow and incorporated in 1979. Today, James and Ann still own the business, along with their three children, Judy Forlines, Donna Crews, and Tim Tharpe. Tim serves as Vice President and General Manager. Donna serves as the Corporate Secretary and Office Manager. Danielle Crews, one of seven grandchildren, works with the family business as Safety Coordinator and Human Resources. Together, we all strive to keep the family business growing and operating smoothly. We presently serve five states including Virginia, North Carolina, Maryland, D.C., and West Virginia. Our business mission is based on honesty and integrity, which we believe is a great part of our success. We look forward to serving you for all of your hauling needs! From our family to yours. Located in Rice, Virginia, our main office is located just minutes from Farmville, Virginia and only an hour west of Richmond.